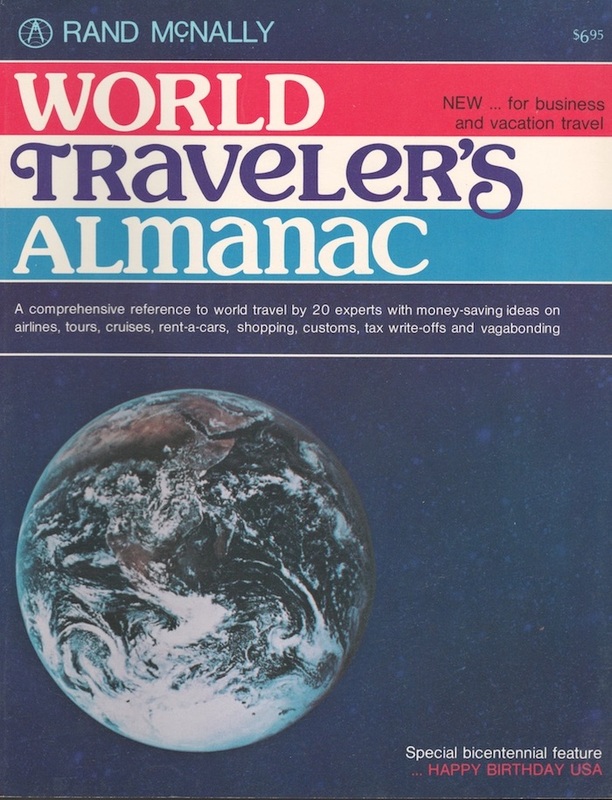 The first publication of Traveler's Almanac was 1975, and it became an imprint for numerous other travel books. 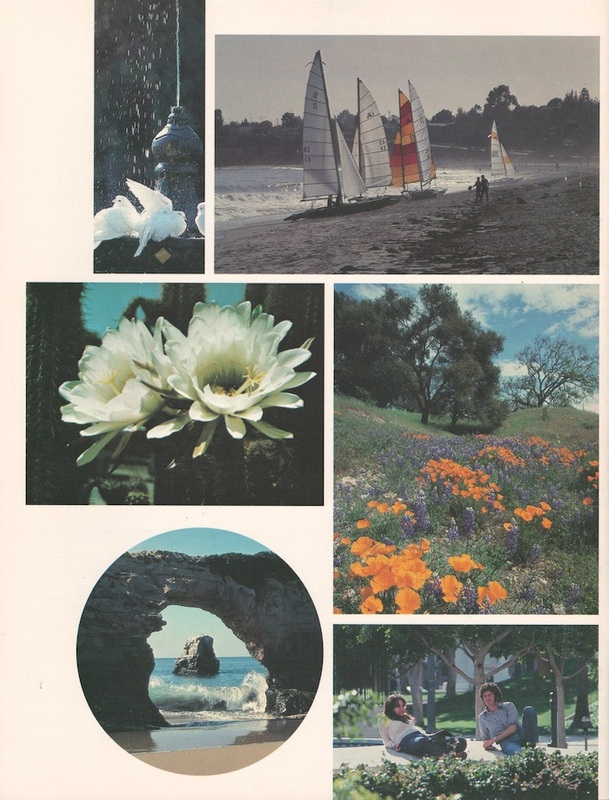 Here are the covers from most of the books; a full set is archived at the UC Santa Barbara Special Research Collections in Isla Vista, California. 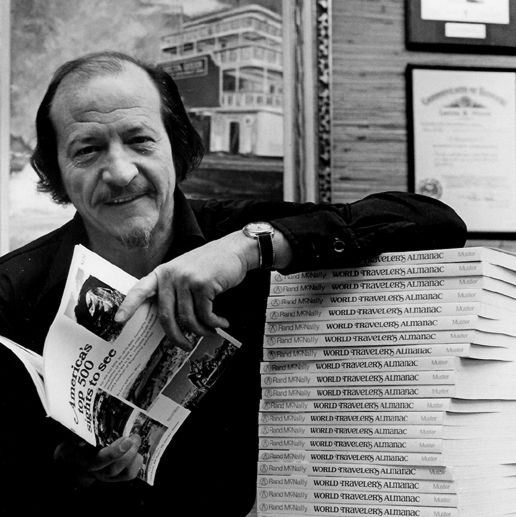 When the first printing didn't sell, Bill Muster hired his longtime friend Eddie Hilliard, Sr., to sell the books. 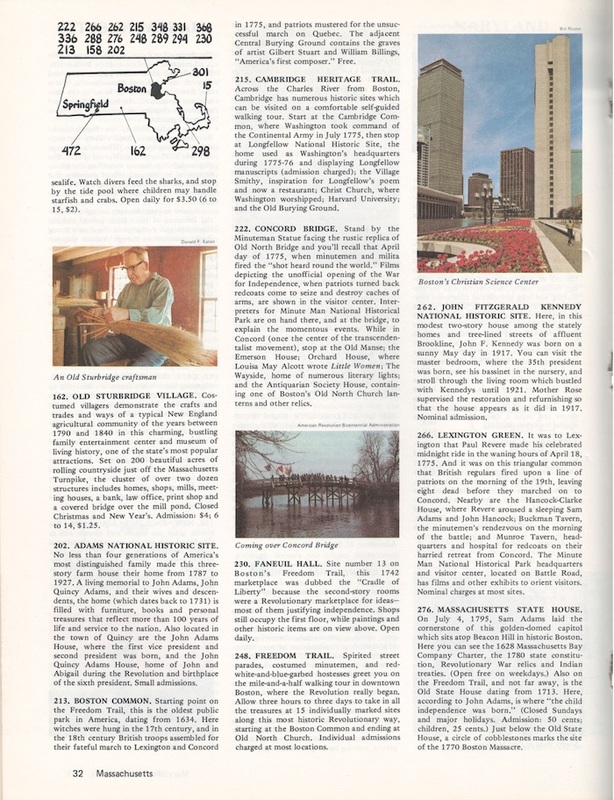 Hilliard marketed them to the bank across the street from Muster's 6900 Santa Monica Boulevard office. His pitch was to give the book away as a free gift to people who open a savings account for a future family vacation. 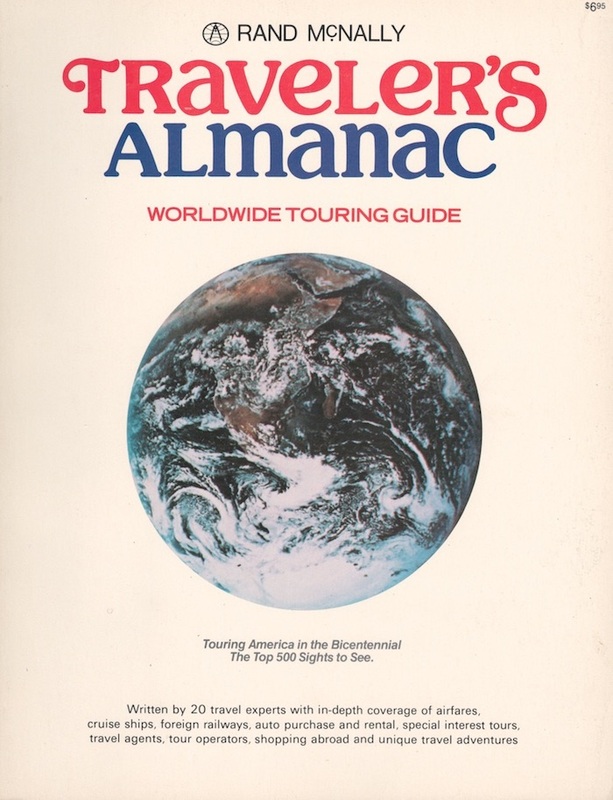 The idea worked, the bank sold out the 1975 edition, and they reordered the Almanac each year for three more years. 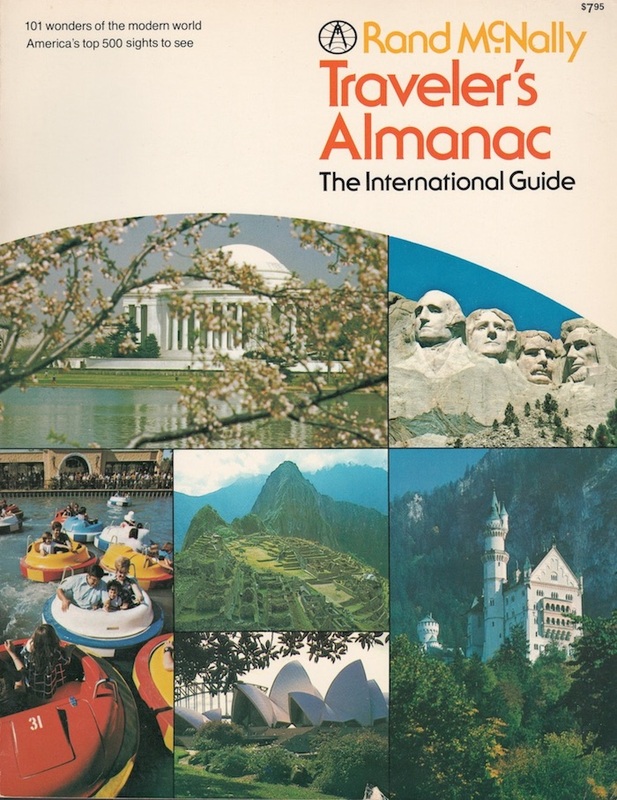 The 6900 Santa Monica building was production central for the Almanac, with writers and researchers in every corner of the building, preparing and updating the books. 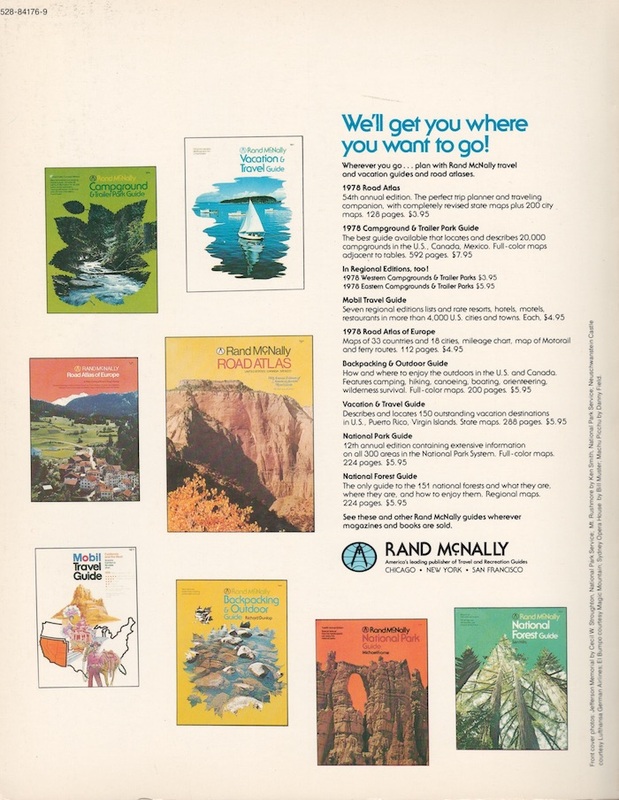 This was before people had computers, too. 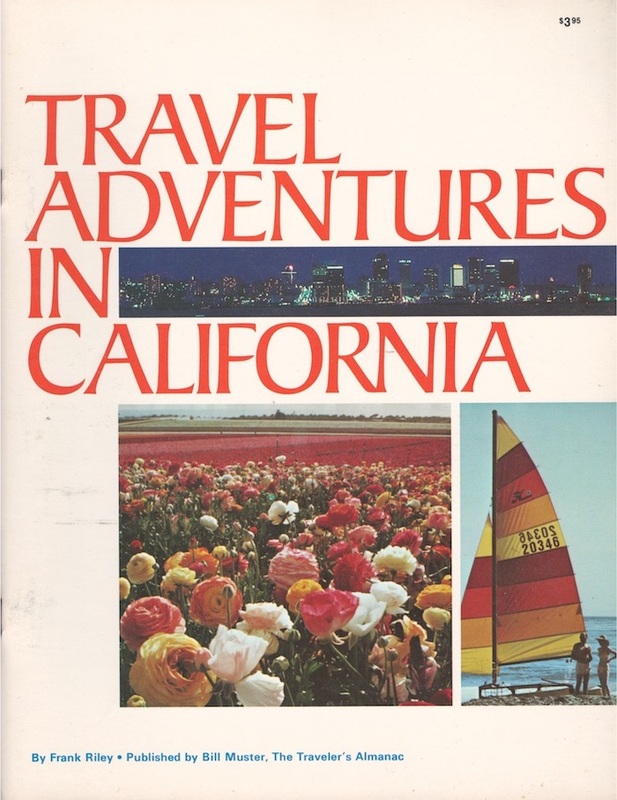 Most of those who took part were from the Society for American Travel Writers (SATW), plus other travel-savvy friends. 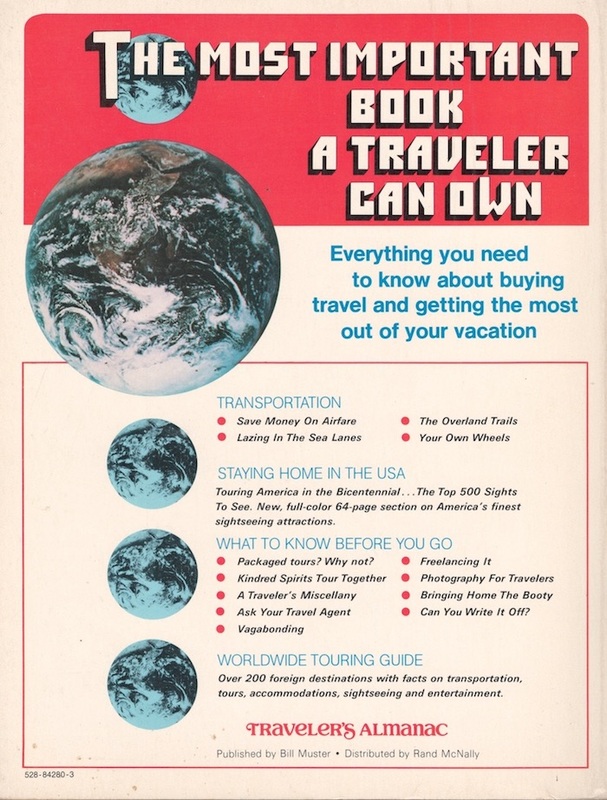 Special thanks to Pan American World Airways for permission to use portions of Pan Am's World Guide, The Encyclopedia of Travel, to Trans World Airlines for advice on air routing, to Thru The Lens Tours for photographs; and to the many foreign tourist offices without whose cooperation the preparation of the Almanac would have been impossible. 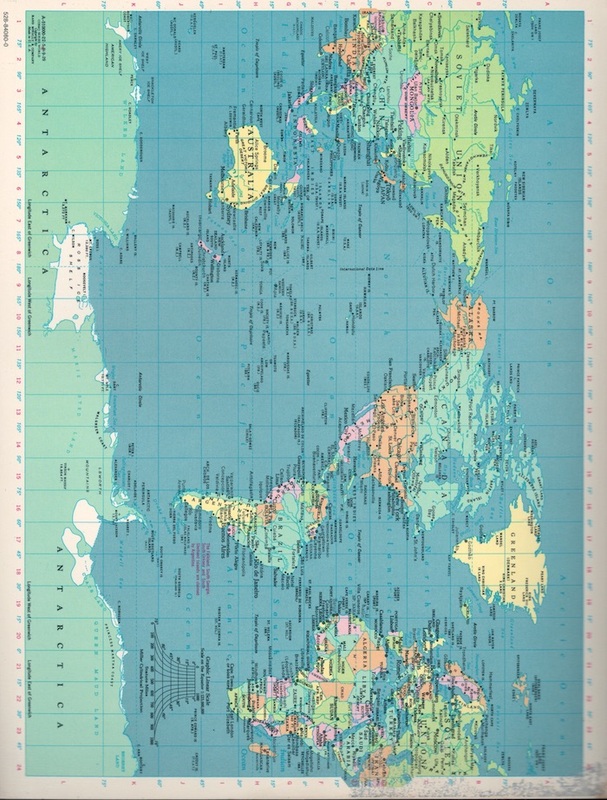 The Top 500 Sights to See. 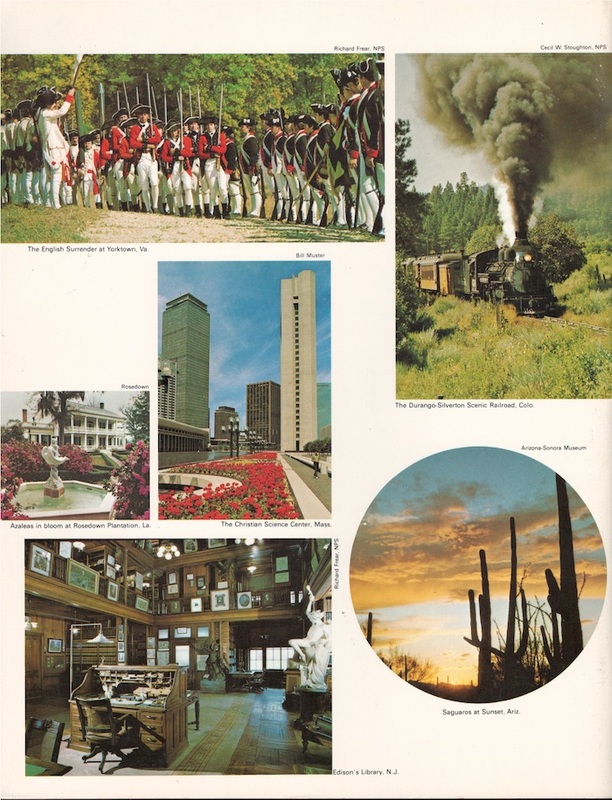 Special thanks to Thru the Lens Tours, Inc., and the National Parks Service for photographs. 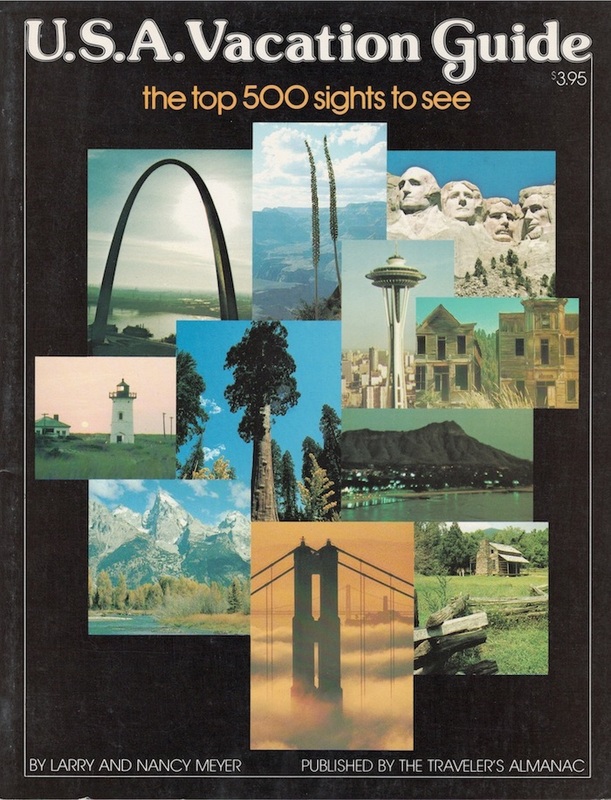 Sample page from America's top 500 sights to see, by Larry and Nancy Meyer. 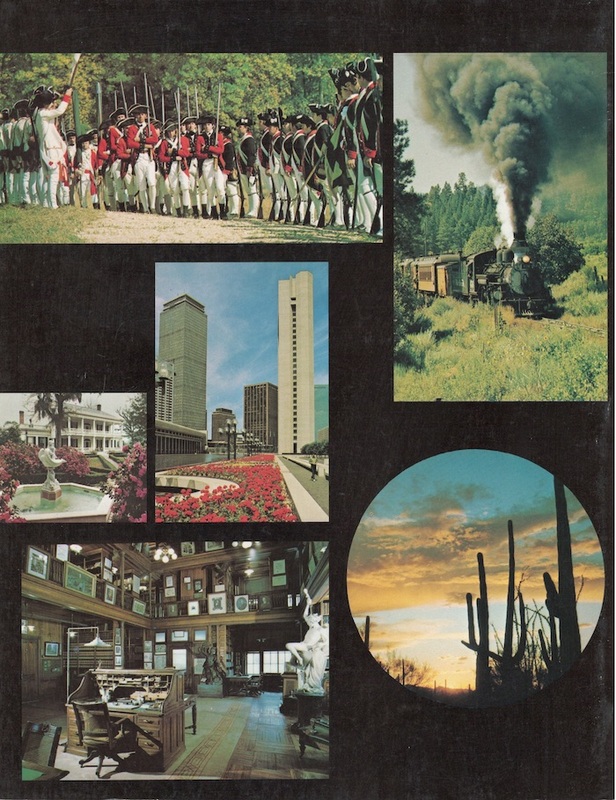 All the 8-1/2x11" books follow this format. 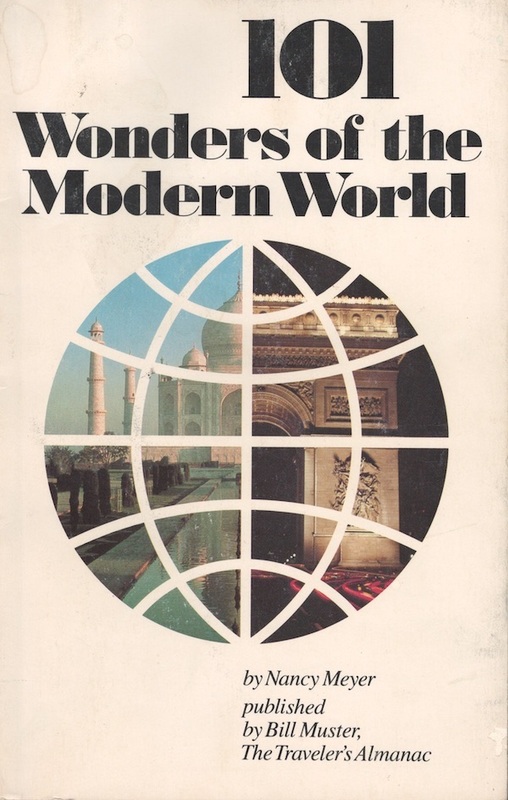 101 Wonders of the Modern World, by Nancy Meyer, and a few of the other smaller books follow a slightly different format. 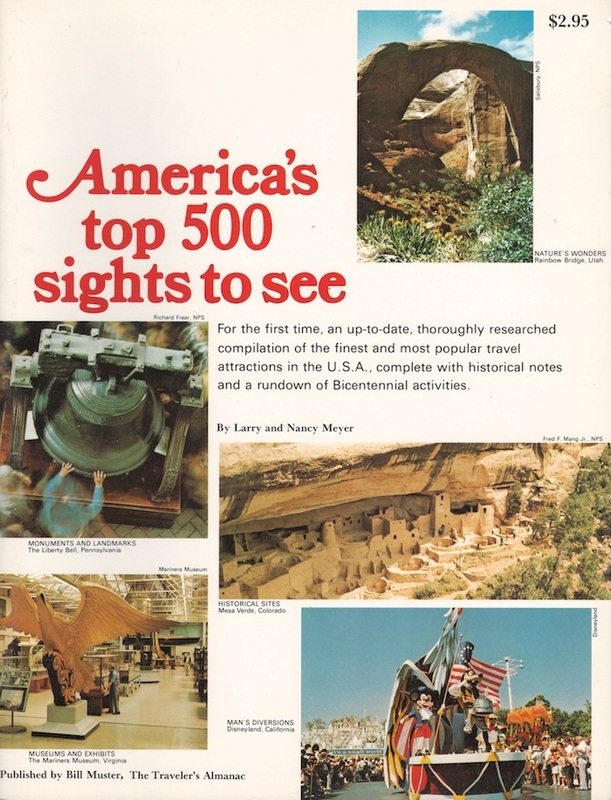 A 1975 publicity photo for America's Top 500 Sights to See and Traveler's Almanac - including a sight to see - Bill Muster with a goatee!